Here is a picture of the strange sky we are seeing all over the UK. Friends in the west of England mentioned it earlier, while it was still blue overhead in London. 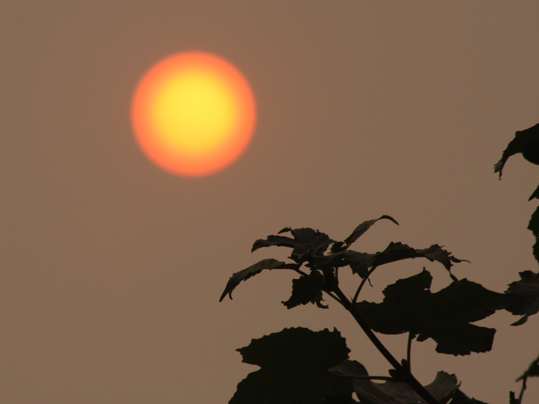 Now we have red sun against a dirty orange sky in south London too. And no, I didn't stare at the sun with naked eyes. I closed my eyes and vaguely pointed the camera at the sun, then looked at the pics I'd taken. Most of them missed the sun entirely. This one was OK.